Puri is a sacred land of Lord Jagannath that is recognized by several names from the ancient times and also known as Srikshetra. Puri has been selected as one of the cultural cities for Heritage City Development and Augmentation Yojana (HRIDAY) plan of Government of India. In Rigneda, it is revealed as a place named Purushamandama – grama that means the place where the creator divinity of the world – Supreme deity worshipped on an altar or mandapa was deified near the coast and devotions offered with Vedic chants. As time passed the name got changed to Purushottama Puri and then abstracted as Puri, and the Purusha comes to known as Jagannath. 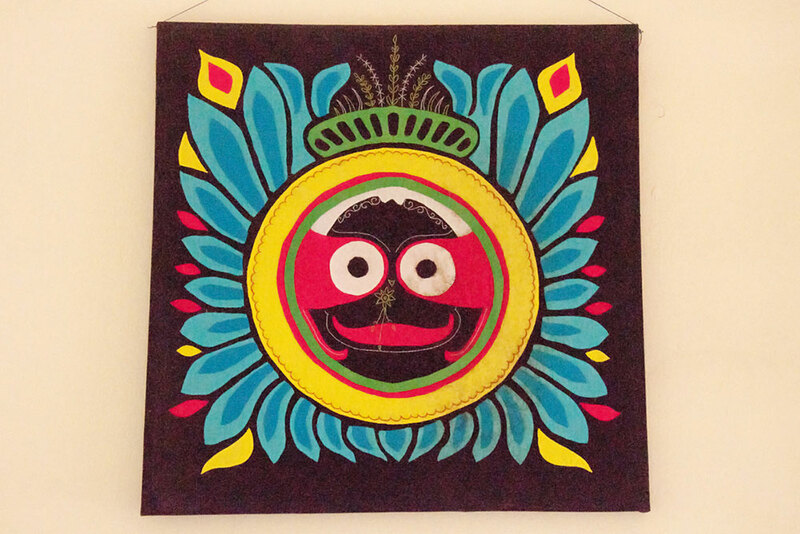 Hence the name Puri Jagannatha and it is believed that Lord Jagannath is an avatar of Lord Vishnu. The Puri city is famous for its annual chariot festival or Rath Yatra. 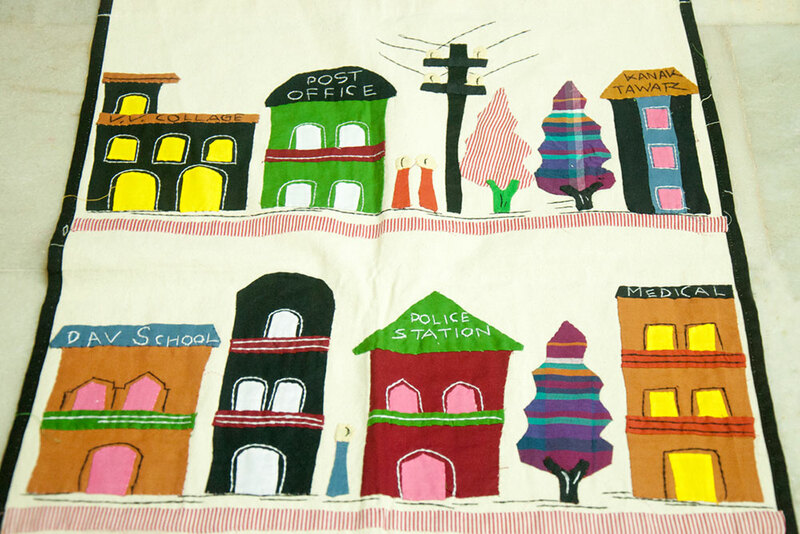 Applique work is a traditional patchwork that has a long history in Odisha. The term applique is derived from the French word appliquer, which means ‘to put on’ or applied or things that has been applied. This applique work is normally dependent on some bright colours that is red, white, black, yellow, green and blue etc. 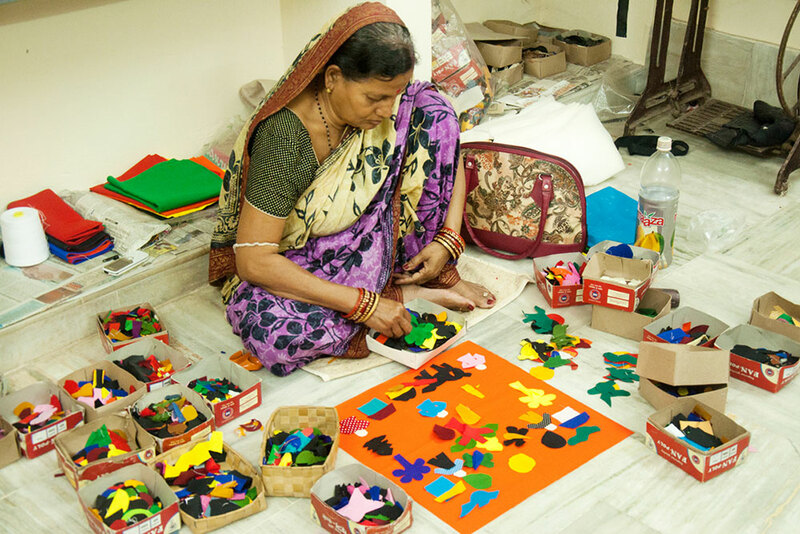 The artisans skillfully stitch the traditional motifs like animals, birds and flowers on fabric. Modern applique art form mainly inspired by the religious in nature and it is closely connected with religious traditions. Applique is nothing but surface design, which is used to embellish a garment or product. The famous Rath Yatra awnings on the chriots are adorned with elegant applique motifs and colours that were authorized centuries ago. As per tradition, the colours of the canopies are predetermined. The Taladhawaja (chariot of Balabhadra) has a bright red and black canopy. Lord Jagannath chariot called Nadigosha has bright red and yellow canopy and Subhadra called as Padmadhwaja or Darpadalana has bright red and black canopy. 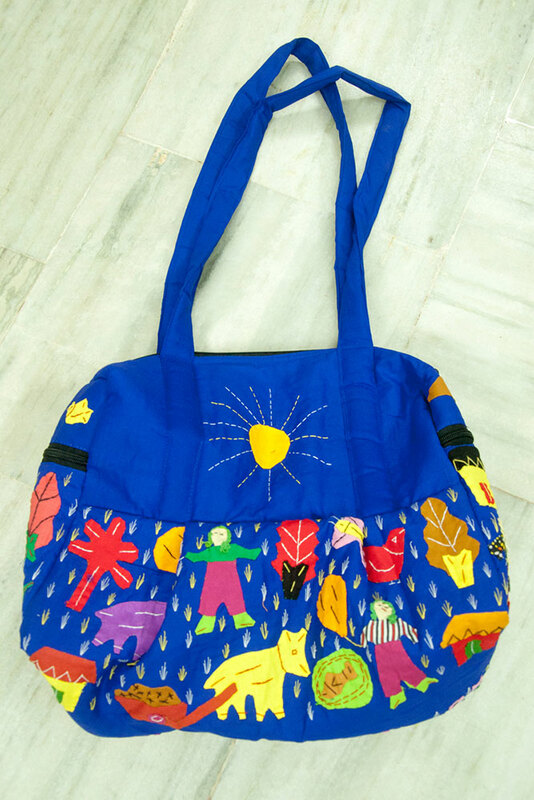 Modern applique art is a unique technique by which the enhancing effect is gained by superposing pieces of coloured fabric on basic fabric in predetermined layout and sequence, the patch edges are sewed. The applique work is normally done by hand. 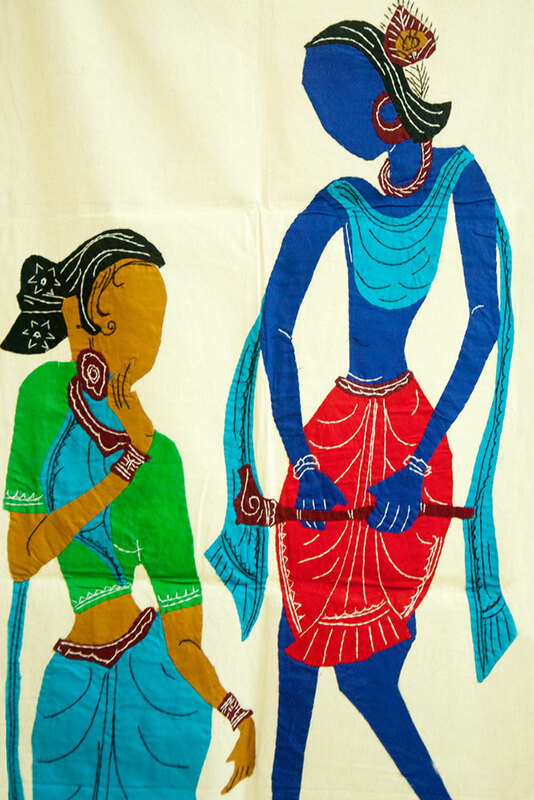 In olden days applique work was confined to the Darji (tailor caste). 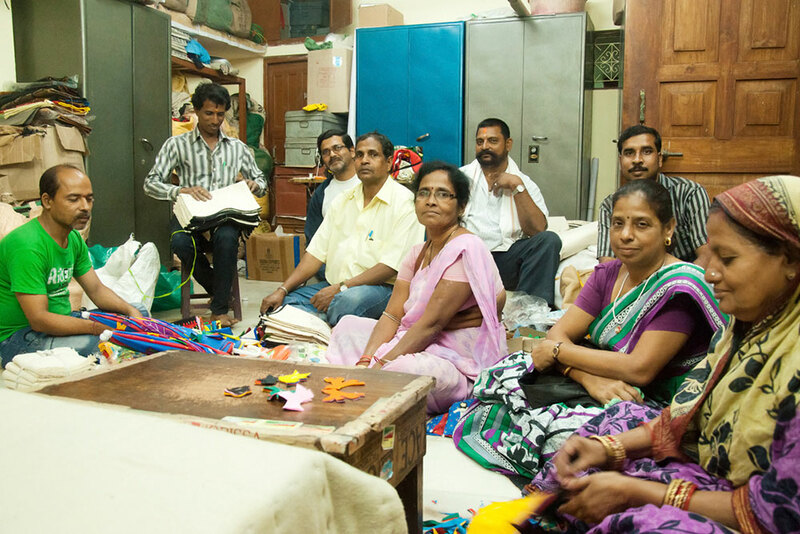 Initially the designs are traced on the cloth and then patterns are sewed. Finally embroidering will do the detailing. In applique work there are two different categories such as Traditional Pipli applique work and Modern applique work. Modern applique work is nothing but traditional patchwork mainly based on daily life and religious festivals with less embroidery work where as traditional applique work is based on the traditional aspects and decorated with traditional embroidery designs using mirrors.